Back in the day, my parents bought my brother and me Huffy bikes one summer, and then sent us on our way to figure it out. Nobody had “balance bikes” in suburban U.S.A. in the 1970s and ’80s—or helmets for that matter—and the adults spent minimal time teaching their kids how to ride around the cul-de-sac. Maybe you started on training wheels. Maybe not. But if you wanted to keep up with your savage neighborhood posse, riding a bike was a self-taught necessity. Today, family riding is a culture. Whether you’re an urban commuter or a singletrack junkie, teaching your offspring to ride a bike is almost instinctive—it’s just what you do. And while us gear-head mountain families still aim to keep things on the cheap, financing a bicycle that nurtures your child’s love of sport may be the best lifestyle investment you ever make. 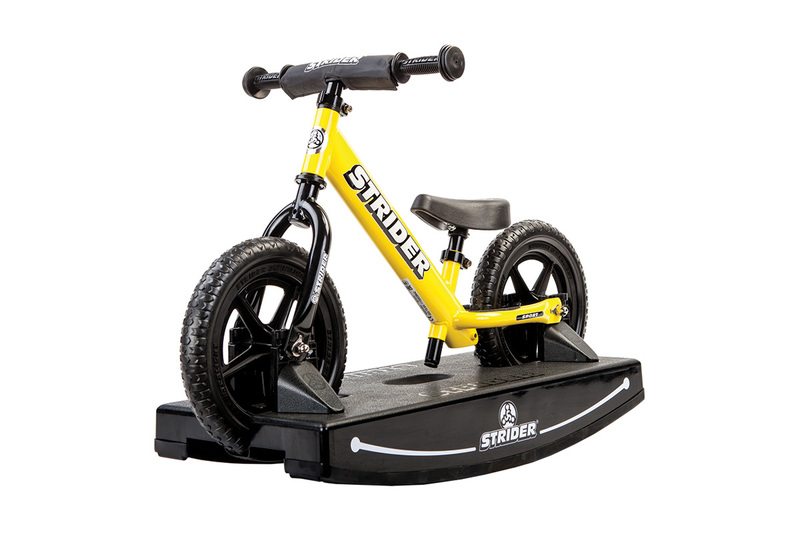 In 2007, Strider revolutionized the way kids learn to bike by pushing the starting age from 5 years old down to 18 months with their balance bikes. The Strider balance bike, with rocking base (for children as young as 6 months! ), replaces the living room rocking-horse setup and helps develop the gross motor skills needed to hit the streets. Once out on the pavement, your child gains the push-and-glide confidence he needs to advance to a pedal bike (no training wheels needed). MSRP $199.98 (with rocking base); $119.99 (bike only). Available at Fitzgerald’s Bicycles in Victor and Jackson. Fitzgerald’s Bicycles’ owner Derrick Noban calls a bike equipped with a Balance Buddy the “cool-guy stroller.” This replacement for training wheels hooks to the rear hub of a kid’s bike, providing an adjustable and removable handle for parents to keep kids upright. No more bending over to stabilize the seat for our little learners. The Balance Buddy instills a trust between parent and child, while helping the latter develop the skills and confidence needed for unassisted riding. MSRP $19.99. Available at Fitzgerald’s Bicycles. Isla takes pride in the details, even on their entry-level bikes. Designed for a 36-inch-to 41-inch-tall rider, the Cnoc—with its lightweight aluminum frame and wheels, and Chromoly fork—may be the nimblest beginner bike on the market. Small-diameter handlebars and micro-reach brake levers ensure ease of use for the bicycling newcomer. And puncture-resistant tires make for a frustration-free outing for the parent. MSRP $419.99. 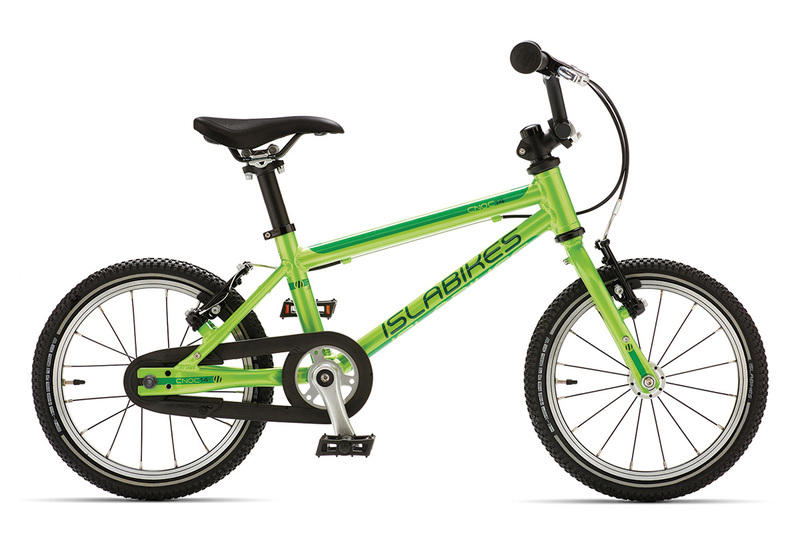 Available at islabikes.com. “Kona always delivers a bike built on a reputation for getting the most bang [and durability] for the buck,” says Mitch Prissel, manager at Habitat in Driggs. Both of my kids learned to mountain bike on a Makena we bought at Habitat. In fact, my son (now age 9) used it to pedal his way up adult-level trails at Grand Targhee last summer. The Makena’s sloping top tube tolerates a lower standover height for little kids, allowing you to hand it down to a sibling at an earlier age. And the single chainring gearing system makes it easy for beginning riders, by putting the shifting all into one hand. MSRP $389. Available at Habitat. 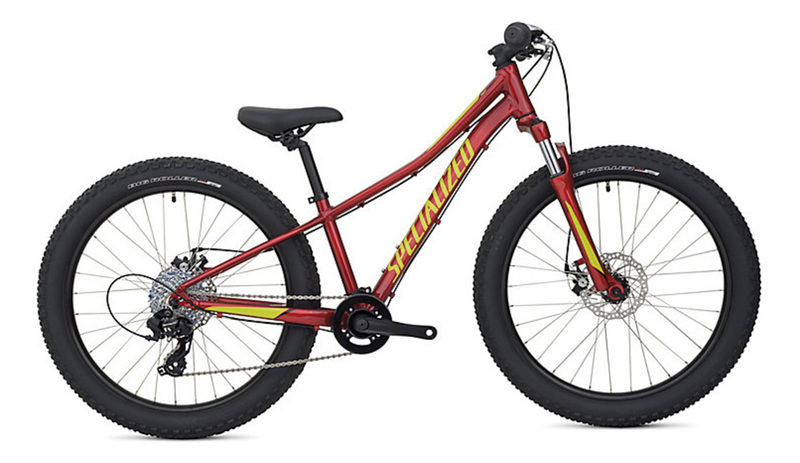 Specialized claims their new Riprock doesn’t fit neatly into any one box. And Anando Katana, rental tech at Hoback Sports in Jackson, agrees. “We rented these bikes last summer and every level of rider had a lot of fun on them,” he says, “from kids riding in their driveways, to kids riding with their parents on trail.” Katana props the plus-sized tires as a way to get extra grip and cushion in the backend, without the luxury and expense of a rear shock. And while all the Riprocks come with disc brakes, the upgraded build kits on the Comp and the Expert models shave weight. MSRP 20-inch, $450; 24-inch, $500; 24-inch Comp, $750; 24-inch Expert $1000. Available at Hoback Sports. 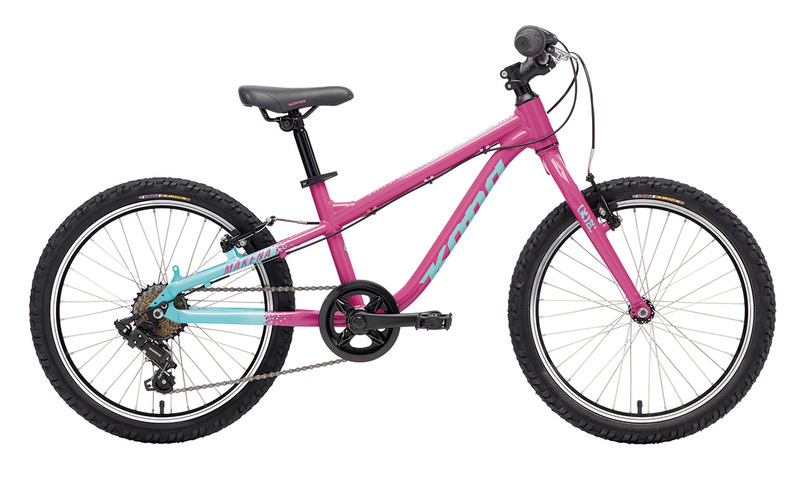 While this full-suspension bike packs a price tag, Dustin Varga, sales associate at The Hub Bicycles in Jackson, says it’s a worthy investment for the right kid (the size can fit ages 8 through 12 and the bike can be passed down to a sibling). “Kids benefit from the legitimate suspension system that can be custom-tuned to weight and riding ability,” Varga says. 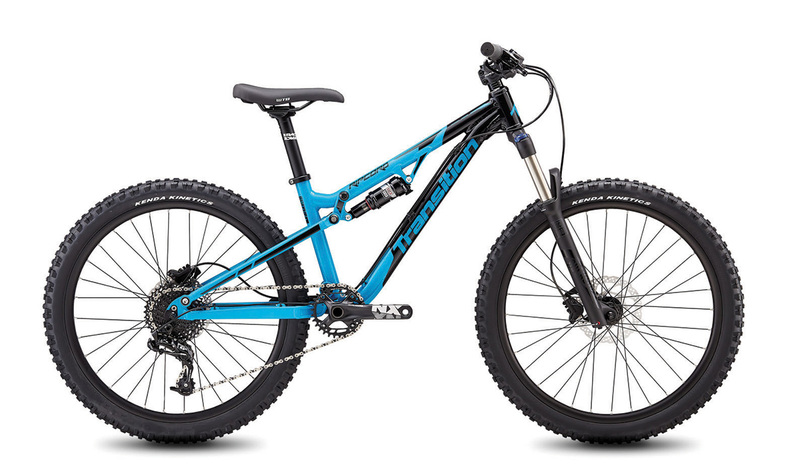 The super-low standover height, quality drivetrain, hydraulic breaks, and overall lightweight build allows kids to tackle trails with more ease. Varga’s 10-year-old son is currently riding this bike and—as the perfect segue into an adult model—he will rock it until he’s five foot two! MSRP $1699. Available at The Hub. Three years ago, Amanda Carey (team director) and Nate Carey (head coach) grabbed kids from both sides of the hill to create what they call a “composite” mountain biking team, consisting of middle schoolers, high schoolers, and home schoolers. Racing is not required on this Idaho-based team, where coaches work with riders to build the fundamental skills needed to ride mountain bikes. They tackle things like preparedness, trail etiquette, bike handling, and basic bike maintenance, and they participate, as a team, in local trail-work days. TRC accepts riders of all ability levels and offers a trial run for anyone thinking about joining the team. “Although our kids do well in the races, we’re pretty laid back,” says Amanda. “When you join this team, you really join a community.” She loves the impact TRC has on families, as they further build a local culture centered on biking. For more info, visit mountainbiketetons.org or contact Amanda at amandacarey1@gmail.com. What do the team kids ride? “Buy the nicest bike you can afford, if you have the means. It makes a huge difference!” says Amanda. She warns parents that heavy bikes can be demoralizing and suggests a lighter hardtail bike—in lieu of a full-suspension mountain bike—as the way to go, based on rider size and weight. Amanda encourages families to shop used, and to think about repurposing any bike (new or used) by passing it on to a younger sibling. This also helps justify the cost of buying something nicer to make trail riding easier.